It’s beginning to look a lot like Thanksgiving and my head is filled with visions of deep fried turkey, cornbread dressing, sweet potato casserole and pecan pie. I’ll have a house full of guests (15 total) on Thanksgiving Day and I can hardly wait for the feast to begin. Desserts will be made the day before and hidden in the fridge. The table will be set the night before. I do everything I can in advance so that Thanksgiving Day is reserved for cooking the main event. On Thanksgiving morning, while the family is enjoying mocha punch, cinnamon rolls and watching the parade on TV, I’ll begin to prepare the turkey for deep frying. That’s how we roll in the south and I always buy a turkey large enough for leftovers to make Turkey Tetrazzini. After the parade, it’s football time! I keep my eye on my favorite team while I bake the cornbread for my famous cornbread dressing. Onions will be chopped, celery will be diced and delicious smells will begin to waft from the kitchen. The key to making good dressing is using plenty of Swanson® Chicken Broth. I always use Swanson® because it’s made with simple ingredients, is 100% natural and contains no added MSG, artificial flavors or preservatives. I also add a can of Campbell’s® cream of mushroom soup to my dressing. It adds an extra layer of flavor and it’s my not-so-secret-anymore ingredient. 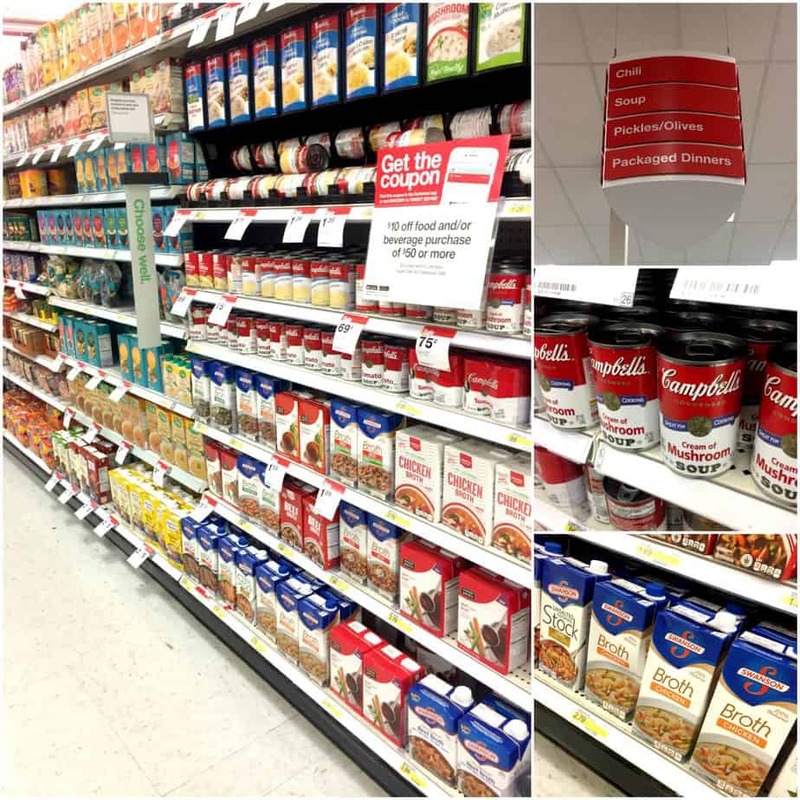 Helpful Hint: I also use Swanson® Chicken Broth and Campbell’s® Cream of Mushroom Soup when I make Turkey Tetrazinni, so I make sure to stock up when I’m shopping at Target. 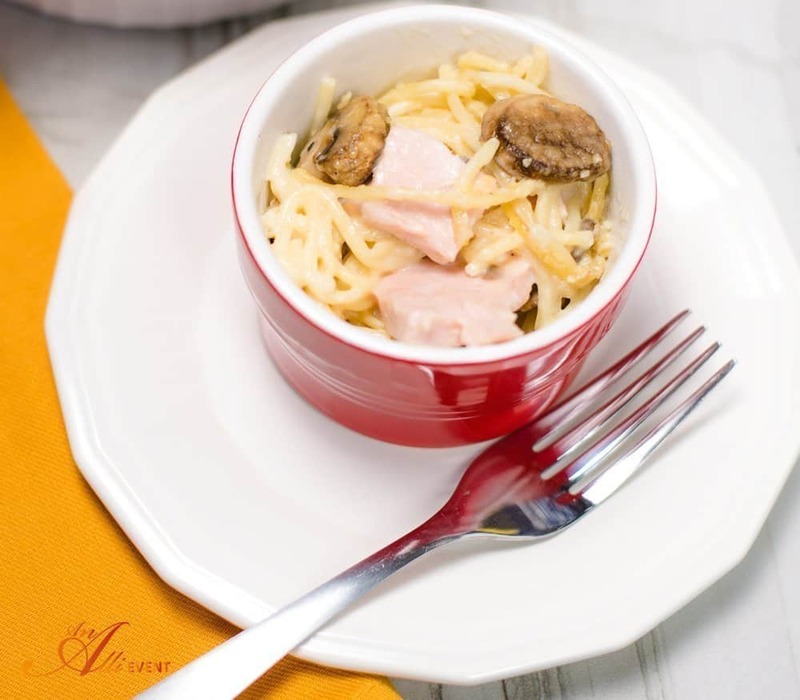 Turkey Tetrazzini is the perfect meal for the day after Thanksgiving. It’s delicious, easy to make and it’s a great way to use up the leftover turkey. 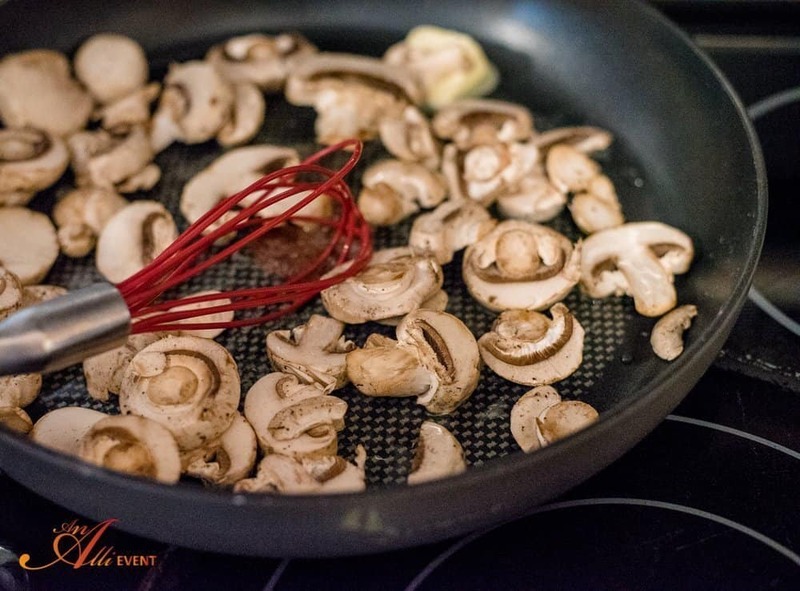 In a large skillet, sauté mushrooms in 2 Tablespoons butter until softened. Remove mushrooms and set aside. Now, we need to make a Béchamel (aka white) Sauce. It’s easy and I use the same recipe when I’m making homemade mac and cheese, potato soup and Al Fredo sauce. In the same skillet, melt remaining butter and add the flour. Whisk for one minute or until smooth. Add the half and half and the Swanson® Chicken Broth and whisk until smooth and thickened. 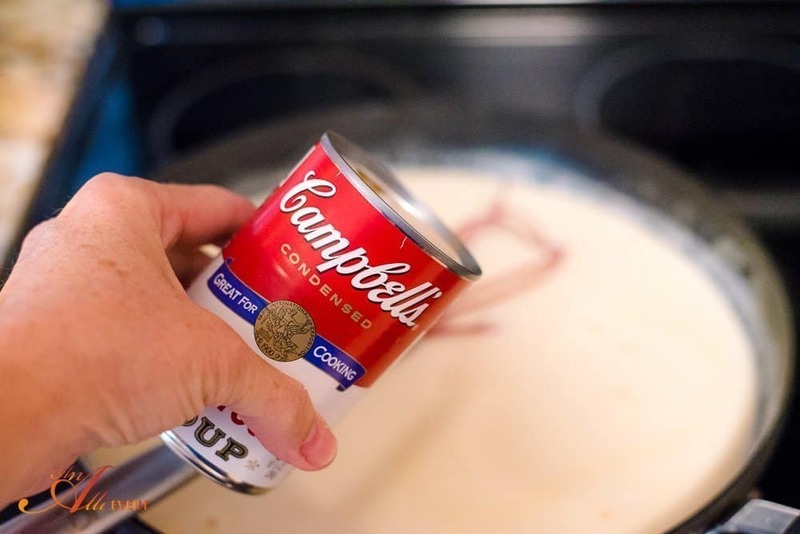 Remove from the heat and add the parmesan cheese and Campbell’s® Cream of Mushroom Soup. 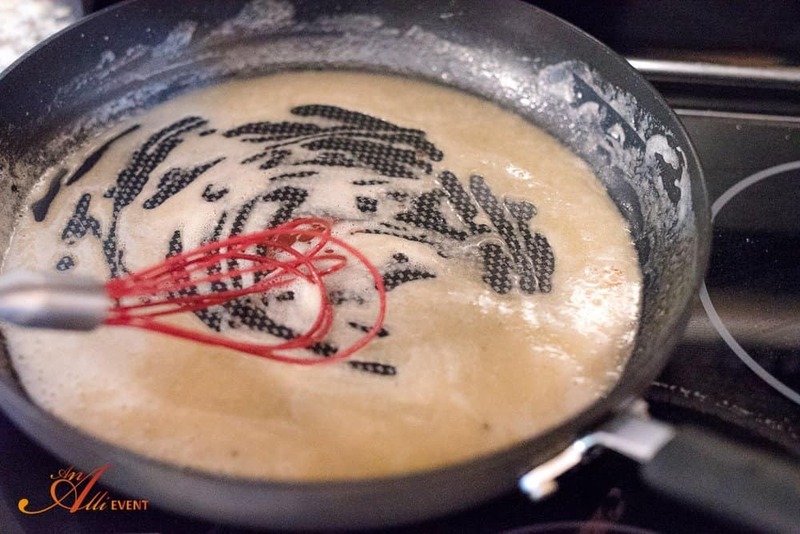 Combine the sauce mixture with the turkey and spaghetti. Place in a greased baking dish and sprinkle with remaining parmesan cheese. Bake at 350º for 20-25 minutes or until lightly browned and bubbly. Serve with a salad and you’re good to go. Heat 2 Tablespoons butter in a large skillet and add mushrooms. Sauté on medium heat for 5-6 minutes. Set aside. 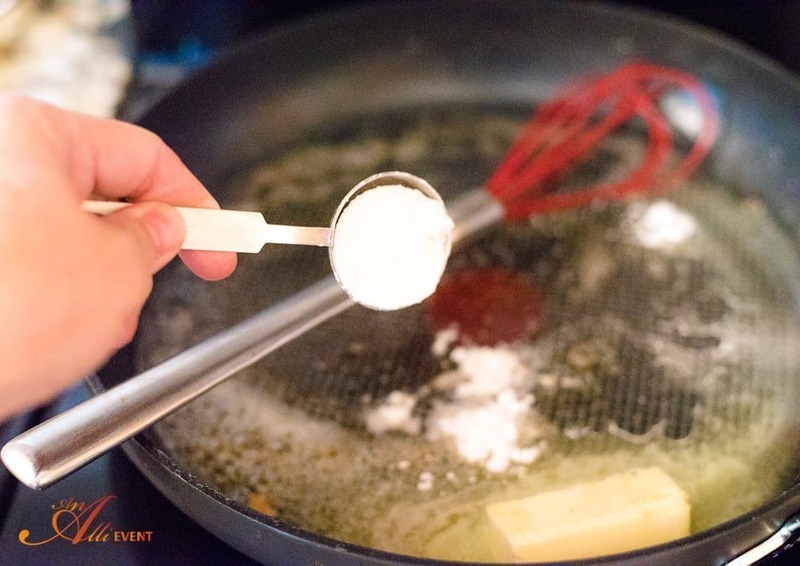 Add the remaining butter to the skillet, add flour and whisk for one minute or until smooth. Add half and half and chicken broth and stir until smooth and thickened. Remove from heat and stir in the cream of mushroom soup, mushrooms and 1/2 cup parmesan cheese. Add the chopped turkey and spaghetti. Transfer to a lightly greased 2-quart baking dish. Top with remaining tablespoon parmesan cheese and bake for 20-25 minutes or until light brown and bubbly. What’s your favorite way to use Thanksgiving Day leftovers? That looks so delicious, a perfect dinner option. I always wonder what to do with the leftover turkey – apart from turkey sandwiches – so I’d love to give this a try. I used to make Tetrazzini a lot when I lived in Greenville. But I always had to find a recipe online. I don’t like them dry and this one certainly looks delish. That sauce is surely making all the difference and I love that you could use it to make mac and cheese and such. Pinning because I need a good sauce recipe for meals like these!!! I don’t have one favorite to meal to make with left over turkey. It’s just whatever comes to mind!! OMG I get hungry just reading this! It looks so delicious and so easy to make. It’s been 8 years since the last time I had a real Thanksgiving meals. I LOVE TurkeyTetrazzini! I totally forgot about it! I will be doing this with left overs for sure!! YUM!! 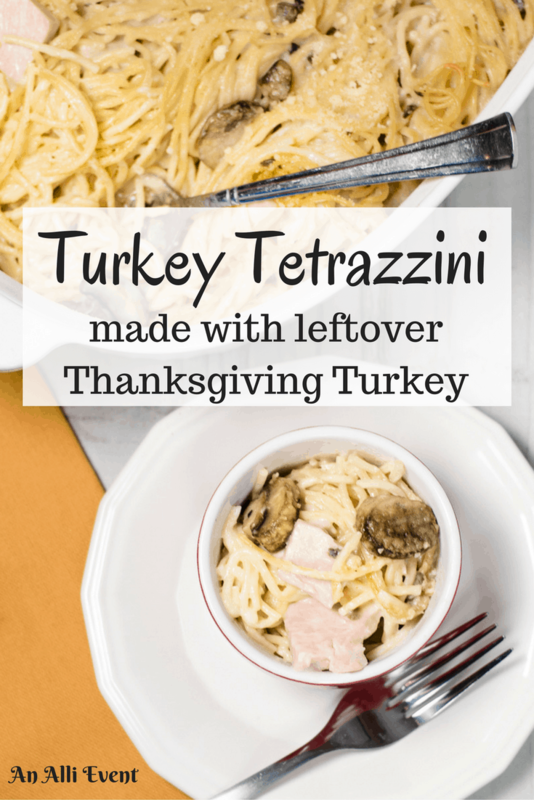 I usually make Turkey Tetrazzini with my turkey leftovers as well! YUM!! This recipe looks and sounds so delicious. I can’t wait to try this recipe. We will definitely have a lot of leftover turkey after Thanksgiving. OMG! I remember eating this growing up at my Grandmother’s house, but I never knew the name of it. Thank you so much for sharing the recipe I am so excited that I am going to have to try this out tonight with chicken. What a great way to use up leftover turkey!! I know we always seem to have way to many left over it seems even with careful planning. 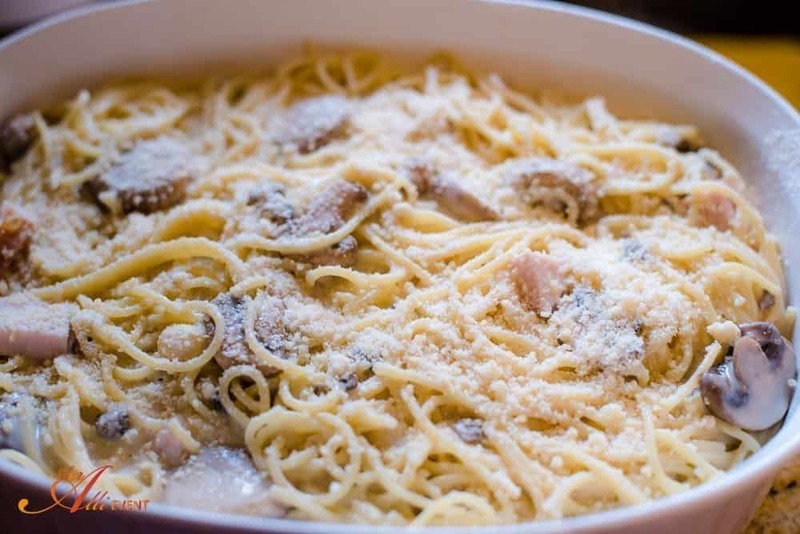 I had chicken tetrazzini not too long ago, but I never thought of making it with turkey. What a great way to use up leftover Thanksgiving turkey. Turkey tetrazzini sounds so amazing. 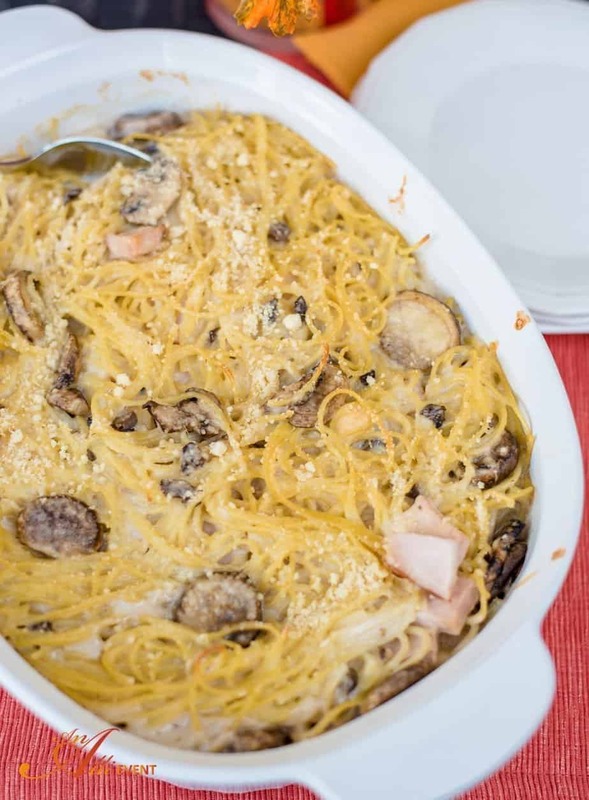 I have never tried making it, but I love chicken tetrazzini so I imagine it is just as good! This looks delicious. Sounds like a great recipe to make with those turkey leftovers. Love pasta! Nice detailed recipe.. Looks so delicious brilliant idea to use the left over turkey.. I really love to eat pasta..
Ooh, this look delish! I love how simple it is. 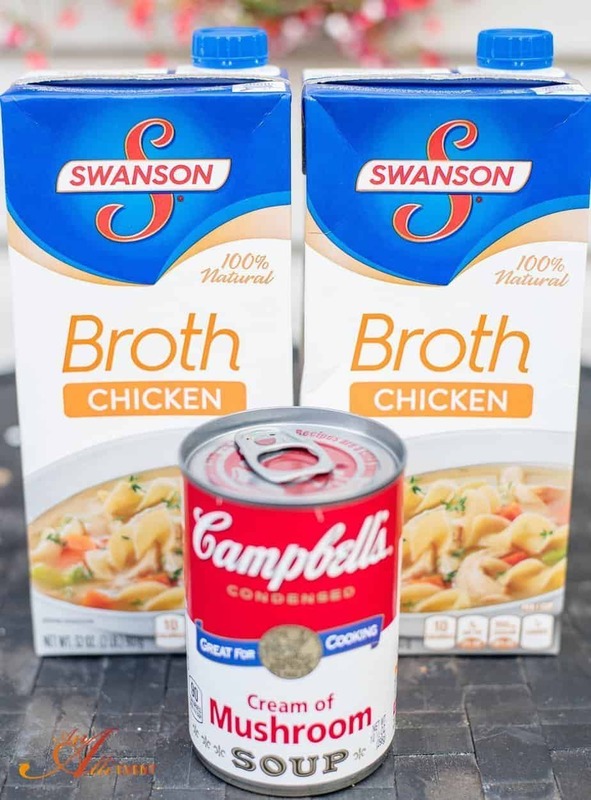 Swanson broths and Campbell’s soups always come in so handy for things. I am going to make this. 🙂 We like to do turkey stuffing and cranberry paninis with our leftovers. Thanksgiving = YUM! This sounds and look delicious. We’re not very fond of turkey so I wonder if this would work with leftover ham? This looks fantastic! I will definitely be trying this recipe with our leftovers! This is such a great recipe idea for leftovers! I love this!! Yum! We usually make a turkey soup but this looks yummy. I think I will try it this week with leftovers. now this makes me hungry. This looks yummy!